Why choose Brookes Bacon as your wholesale supplier? With over 30 years in the industry, our extensive knowledge and passion for the bacon market is second to none. No matter what product range you order or size, you can expect the same consistent excellence every time. We have made our ordering process as easy as possible so you can order your bacon from us quickly and efficiently. If you like we’ll even phone you to take your order! Click here to learn more. Own label order from Brookes Bacon wholesalers and you can use our labelling service which allows you to put your brand on our high quality bacon product. 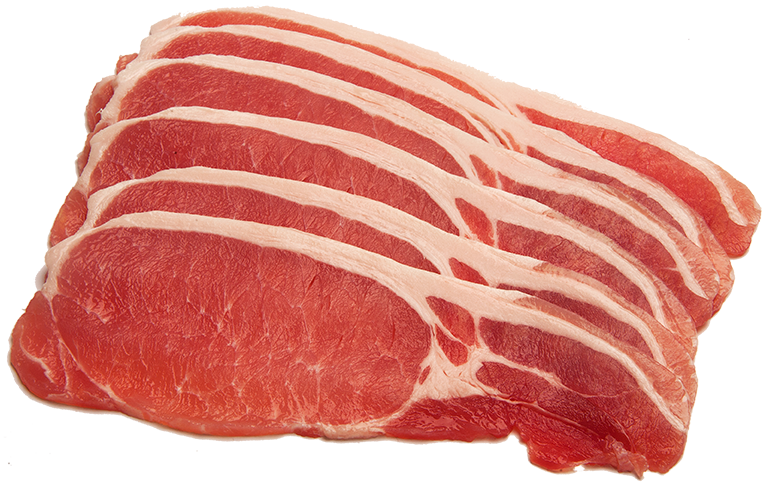 Our labelling service allows you to sell quality types of bacon as your own, using your logo and branding. We work hard to give you the bacon you need when you need it. We can often offer next day or 48 hour delivery and can even offer same day delivery in the local area! We ensure our bacon comes from reputable farms in the UK and our European farms have the equivalent accreditation of farm assured called IKB. In addition to ensuring our partner farms maintain the highest animal welfare standards, we also ensure our team are trained and maintain the highest standards in food handling, safety and hygiene. We are also SALSA approved. Quality control is at the heart of everything we do, our quality control team monitors and checks everything from product taste, facility temperatures and portion sizes to packaging efficiency and traceability.